A grill is a piece of cooking equipment where the cooking surface consists of an open rack or grate with a heat source underneath. Depending on the type of grill, the heat source can be an open flame (either gas or charcoal) or electric. 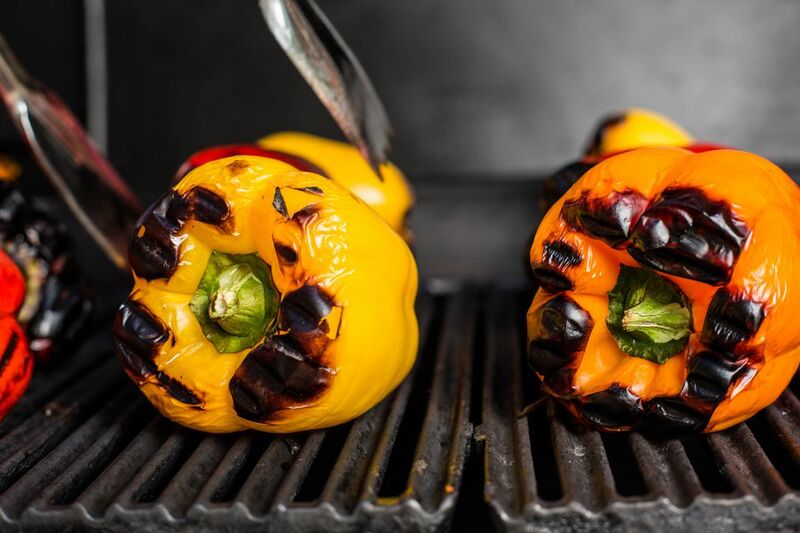 Food is cooked directly on the rack or grate of the grill, so the best types of foods for cooking on a grill tend to be meats and poultry, although firm fish, seafood, and also vegetables can be cooked on the grill. Because a grill cooks with high-temperature dry heat, meats that are cooked on a grill should be tender cuts of meat, and marinating can be helpful to retain moisture. One of the characteristics of food cooked on a grill is the grill marks from the grate or rack. This effect can be obtained by using a specially made pan called a grill pan. A grill pan has raised ridges that can produce grill marks, but cooking on a grill pan isn't really grilling, purists say.